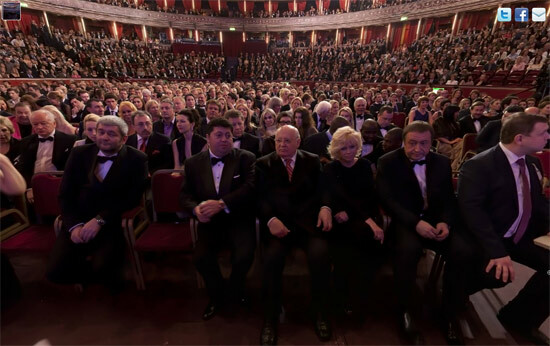 Experience front row views at the ex-president Mikhail Gorbachev’s 80th birthday celebrations at the Royal Albert Hall. 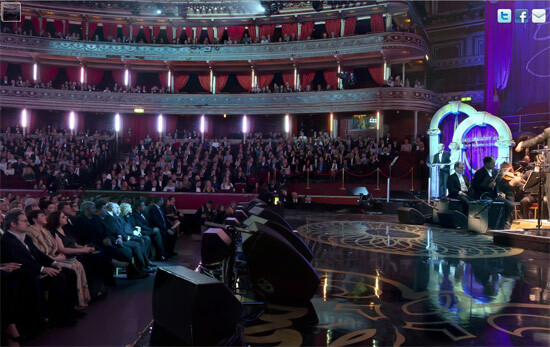 An evening hosted by Sharon Stone and Kevin Spacey where guests included Arnold Schwarzenegger and many other celebrities. Can you spot them in the audience ?